Please join us for our SBIR event where experts from SMI - UMass Dartmouth's Federal Lobbyist - explains how to navigate the SBIR process. If you have a company with strong research capabilities, or are an academic researcher looking to commercialize a discovery, you’ll benefit from learning what the program is, how to apply and the processes required to comply with grant reporting. Grant writing requirements for SBIR/STTR can make the process seem daunting, but, as with other types of fundraising, there are negatives and positives to this financial resource. Given the validation and non-dilutive nature of this source, it can be well worth the effort. At the end of this event, you will be empowered to find the right opportunity for you and your company, know where to go to get the help you need, and take the first steps to being a successful grant awardee! To boost U.S. technological innovation and commercialization, our federal government has invested tens of billions of dollars in domestic companies since the 1970s through its Small Business Innovation Research (SBIR) grants program. Administered by the Small Business Administration (SBA), and managed through 11 federal agencies, including the Department of Defense, the Department of Health and Human Services and the National Science Foundation, the program provides funding and support to hundreds of grant awardee companies per year. These SBIR programs annually provide $2.5 billion in non-dilutive funding to small advanced technology firms represent America’s Largest Seed Fund. 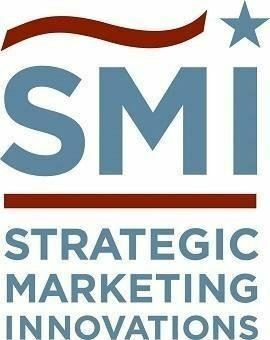 SMI supports companies, universities, and academic institutes secure federal funding for research and development, and technology procurement. Our team is comprised of technical and policy experts, lobbyists, and former executive branch decision-makers who work with our clients to capture non-dilutive federal funds. We guide our clients from technology development through acquisition by the federal government. We analyze every application of a given technology, product or service, and match them to current government needs. We also work with federal program managers to understand government priorities and goals for future technology development and acquisition programs. GRA, the Government Relations Association. 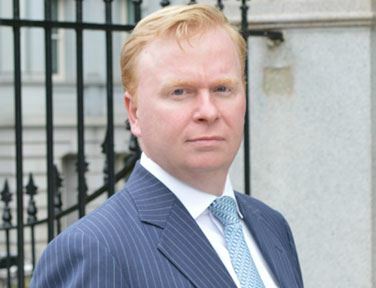 Mr. McCann holds a Bachelor of Arts in American Government from Georgetown University and a Masters of Business Administration from the Ross School of Business at the University of Michigan with an emphasis in Corporate Strategy. Dr. Ronneberg has over 15 years of energy-related experience. 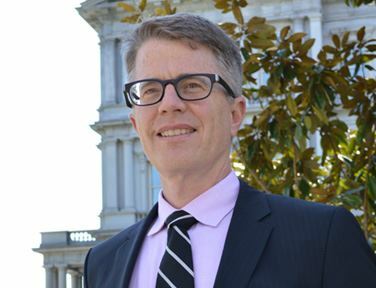 Before joining SMI, Dr. Ronneberg worked for the U.S. Department of Energy, where his positions included Supervisor of the Engines, Fuels and Deployment Division in the Vehicle Technologies Program, Acting Wind and Water Program Manager, Senior Advisor to the Deputy Assistant Secretary for Technology Development, and Forest Products Technology Manager in the Industrial Technologies Program. As Supervisor of the Engines, Fuel and Deployment Division, Dr. Ronneberg´s responsibilities included overseeing over $100 million in annual Research, Development and Deployment activities as well as forming the $105 million SuperTruck and $104 million Laboratory Recovery Act programs. Dr. Ronneberg holds a Bachelor´s degree in Chemistry from Occidental College and an M.S. and Ph.D. in Chemistry from Princeton University. Dr. Taylor is part of SMI’s life sciences team. Prior to joining SMI, Dr. Taylor served as a Policy Officer at the National Institutes of Health (NIH) National Institute of Allergy and Infectious Diseases (NIAID) where he was an expert on foreign Select Agents and Dual Use Research Concerns. He also participated in the formulation, development and coordination of extramural research policy. Dr. Taylor also served as Scientific Review Officer at NIAID during which time he reviewed proposals and managed peer review panels. He has also held a number of senior scientist positions supporting federal agencies including the DoD, DARPA, National Cancer Institute, USAID’s Emerging Pandemic Threats Program, the Department of Homeland Security, and the World Bank. He is a former AAAS Science and Technology Fellow during which time he served as a Science Advisor for the Defense Threat Reduction Agency. Dr. Taylor holds a BA in Biology from the University of Southern Indiana and a PhD in Virology from Harvard University.